The 2014 Andre Norton Award committee has been chosen, and will begin accepting books for consideration. Any young adult/middle grade prose or graphic work first published in English in 2014 is eligible. Eileen Gunn: Most of my stories about SFWA events are far too scurrilous to put into print. SFWAns were not very well behaved in the Eighties and Nineties. Sit next to me at a Nebula banquet, and I might tell you some…. Anyone who grew up yearning to become a writer knows it’s hard to do it alone. The Alpha SF/F/H Workshop for Young Writers provides an environment for young writers ages 14-19 to build a community of likeminded wordsmiths. Each year, 20 students spend 10 days on the campus of the University of Pittsburgh’s Greensburg campus, crafting a short story and participating in peer critique groups. SFWA’s special interest email group focused on professional middle grade and young adult publishing is now open to all SFWA members. Requirements are an up-to-date membership in SFWA at any level and an interest in the MG and YA fields. The ninth annual Clarion West Write-a-thon is open for participant sign-up now through June 16. Writing is a risky career choice and one that doesn’t always yield a lot of concrete reward or social approval. But if one pretends it’s not a choice, then one doesn’t have to worry about those things, or at least not in the same way. Resources, Industry News, and Member News for Edward M. Lerner, Robert J. Sawyer, and Rachel Swirsky! Suzanne Church writes Science Fiction, Fantasy, and Horror because she enjoys them all and hates to play favorites. 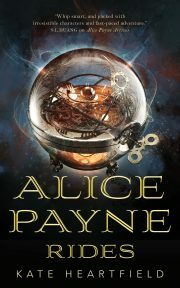 Her book “Elements: A Collection of Speculative Fiction” is published by EDGE SF & F Publishing.